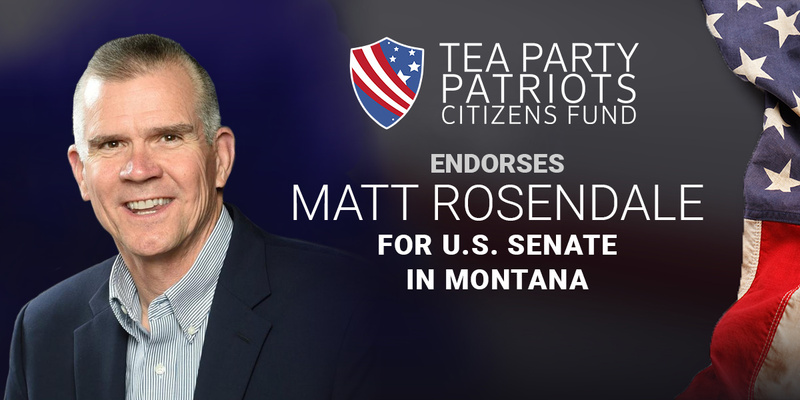 “Matt Rosendale is the conservative choice for the U.S. Senate seat in Montana. “Matt is a strong constitutional conservative. He is determined to stop spending money we don’t have, and to reduce the size and scope of government. He supports the Penny Plan – a budget framework that spends just one penny less of every federal dollar spent the previous year as a means to balancing the budget in five years. He supports both a Balanced Budget Amendment and a Spending Limitation Amendment to the Constitution, and he also supports a Term Limits Amendment. “Further, Matt is determined to repeal ObamaCare, and opposes Congress’ illegal special exemption from ObamaCare. He opposes Common Core, and wants to break the link between federal funding and imposition of the Common Core standards. “Moreover, Matt is committed to securing the border, ending chain migration, ending the visa lottery, and building a wall along the southern border. “He is a strong supporter of the Second Amendment, is a lifetime member of the NRA, and has been endorsed by Gun Owners of America. He’s also been endorsed by Club for Growth and Senate Conservative Fund. “Most importantly, he’s been endorsed by our grassroots supporters in Montana.